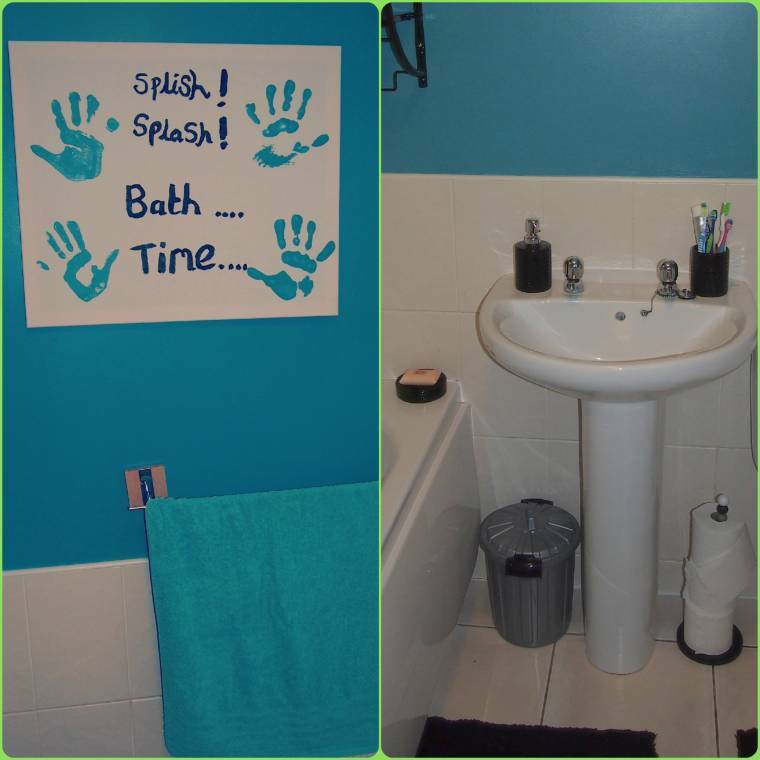 Last week I was kindly asked by Money Supermarket if I would like to take part in a fun home improvement challenge sharing how I can get creative and improve any room of choice in my house on a budget of just £50.00. With 4 children in the house all the rooms could do with a lick of paint (pesky fingerprints). Which one can I choose to improve? Sticking to the target spend..
After changing my mind a few times I picked out the family bathroom. I chose this room as its fairly plain, and a bit lot boring. 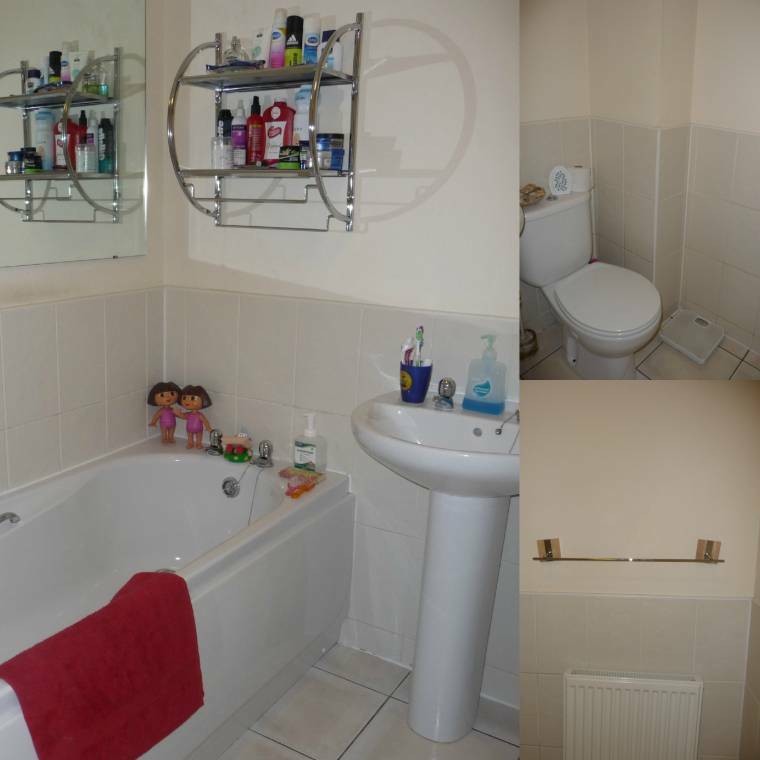 I decided this room definitely needed a make over to make it more fun and colourful. The only drawback to doing the challenge this week? school half term holidays!! Can I get the kids involved or will they be a massive hindrance? Time will tell..
We spent the first 2 days of the holidays going around the shops and planning the colour scheme. ( eating, drinking are NOT part of the budget!!) 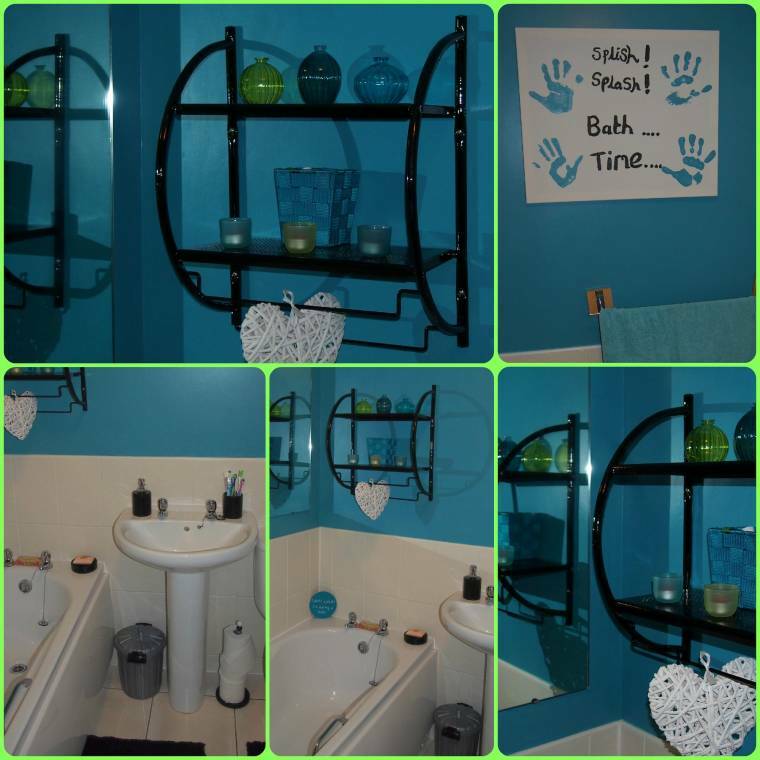 I loved the look of Teal and Black accessories and the children agreed too. To start I took down the silver shelve and painted it outside in black gloss. Then started painting the walls, a couple of coats needed to fully change colour. While waiting for everything to dry, we set about making our own piece of ‘art’. My youngest 2 were more than happy placing there hands in the paint then transferring to canvas (wash them immedialty please!!) and I tried a little writing to finish it off. After everything was in place and the black accessories and bath mats were down I went around the shops looking for a few finishing touches. What does every one think?! Not only have Money Supermarket sent me £50.00 challenge money to spend, everyone who takes part will be entered into a prize draw to win £500 of B&Q vouchers, I can only imagine how cool my house would look with this much money!! "03/06 Creative Mondays Blog Hop And This Weeks Features…"
You all did a great job Claire! I like the colours, the items you have used etc. Really lovely. I hope you win that money! Oh wow, that's quite an upgrade! 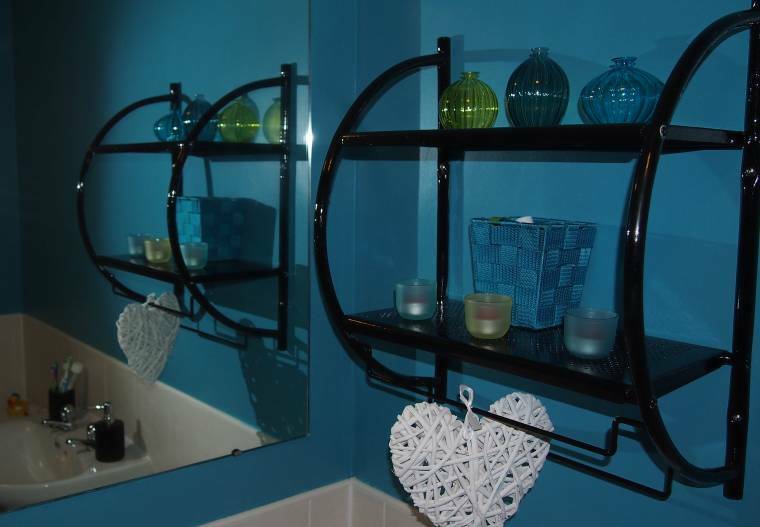 I love the bright colors–you really were able to do a lot without a very large budget!